Easter eggs fit for any Easter Egg Hunt. These 2 3/8 in. eggs are empty and ready to fill with fun! Perfect for hiding small toys, prizes, favors, candy, or money. Can also be used for vending prizes. No Easter party or event will be complete with out Easter eggs. 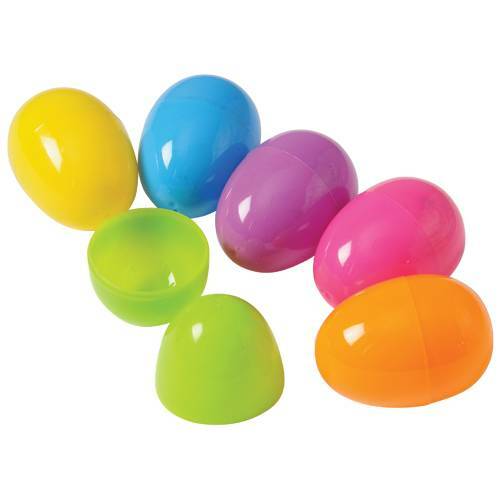 Stock up eggs, egg fillers, prizes, party supplies, baskets and more at US Toy! We have everything you need to make your Easter event a success. Choose size below. Sold 12 eggs per bag.